The School of the Arts at the University of Northampton is delighted to announce an open-to-all event in its Subject Futures Week at Avenue Campus, St George’s Avenue, Northampton NN2 6JD. On Wednesday 27th January 2016, at 14.00 (ends 16.00), novelist and writer Fay Weldon will be in conversation with her friend, writer, producer & film-maker Carole Hayman. 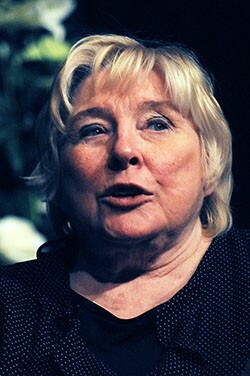 In 1971, Weldon wrote the first episode of the landmark television drama Upstairs, Downstairs, for which she won a Writers Guild award. She also wrote the screenplay for the 1980 television adaptation of Jane Austen’s Pride and Prejudice, starring Elizabeth Garvie and David Rintoul. Weldon is perhaps best known for her 1983 novel The Life and Loves of a She-Devil, adapted for television in 1986, and starring Patricia Hodge and Dennis Waterman, and by Hollywood for the 1989 film She-Devil which starred Roseanne Barr and Meryl Streep. Other works of fiction include The Cloning of Joanna May (1980; adapted for television in 1992, starring Patricia Hodge and Peter Capaldi); The Bulgari Collection (2001) and — most recently — a short-fiction collection, Mischief (2015). Weldon’s memoir Auto da Fay was published in 2002. Carole Hayman was born in 1945 in Kent, which featured in her trilogy of novels The Warfleet Chronicals (1998–2002). She was a founder member and first woman director of the Joint Stock Theatre Company and an Associate Director of The Royal Court Theatre, for which she directed many world stage premieres, including of works by Fay Weldon and Sue Townsend. She also acted in many plays by Caryl Churchill. On radio, Hayman is best known as co-writer of the Radio 4 hit series Ladies of Letters, featuring Prunella Scales and Patricia Routledge, which ran for eleven series between 2000 and 2010. Ladies of Letters was then produced for television (2009 on), starring Maureen Lipman and Anne Reid. 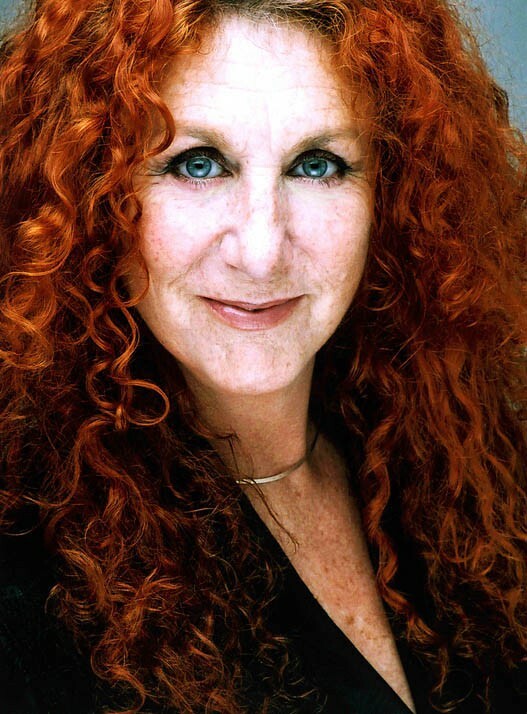 Hayman also wrote the television drama Rides (1992) about an all-female taxicab company, as well as the comedy drama The Refuge and the short film f2point8 (2002), which was shortlisted for a BAFTA. A regular newspaper column for The Independent was entitled ‘My Lofty Life’. Lofty Life (2005), a short animated film, has appeared in film festivals worldwide, and can currently be seen on youtube.com and at www.loftylife.com. No One Escapes, a four-screen film installation on the subject of women and killing, was shown at the Brighton Festival in 2007. Hayman’s last novel was the political satire Hard Choices (2003), which was shortlisted for the Silver Booker. She recently completed a new crime fiction novel. Hayman has been an Arts & Humanities Research Council Fellow at Kings College, London, and sits on the board of New Writing South, where she runs regular literary salons, workshops and seminars. She recently co-founded a digital-era publishing company, Provocative Publishing. This event is open to UN students, staff and also the general public, subject to available seating. Do come to the Reception of the School of the Arts’ Maidwell Building by 13.45 to be sure of a place.